Another great journey into the depths of Delusion, filled with vampire insanity and mayhem galore - now with even more drama! Every Halloween in Los Angeles, Delusion: A Haunted Play offers such a distinctive experience that it seems almost sui generis. It is tempting, therefore, to think that the only worthwhile comparisons are to previous iterations: Was this year better than last year? Were the effects more startling? Was the ending more satisfying? Is this the best Delusion yet? However, Delusion exists on a continuum - following on the heels of the innovative play Tamara, being followed in turn by more aggressive extreme haunts, running parallel with such immersive theatrical experiences as the Wicked Lit Halloween Theatre Festival. And it deserves to be considered in that context - as an actual theatrical production, not just a clever Halloween entertainment. Delusion lies within these walls. Delusion has certainly carved out its own niche by infusing a high-quality haunted house with narrative elements, creating a unique hybrid of jump-scares and drama. More than ever before, this year's production, Delusion: His Crimson Queen, shows creator Jon Braver displaying almost Wagnerian ambition: Just as the composer of The Ring cycle wanted to abandon the old operatic form (in which the libretto served as an excuse to string together arias connected by obligatory recitatives) and replace it with "music drama" (in which storytelling and music reinforced each other to create a fully realized theatrical experience), Braver wants to replace the traditional haunted house format with "horror drama," in which story and scares reinforce each other to create a fully realized interactive theatrical experience. To this end, there is greater effort to put effects in the service of the plot, which exists not merely to link the set pieces but also to deliver the dramatic impact of a genuine play. Whether or not Braver fully achieves his goal, the mere attempt lifts Delusion: His Crimson Queen to new heights. 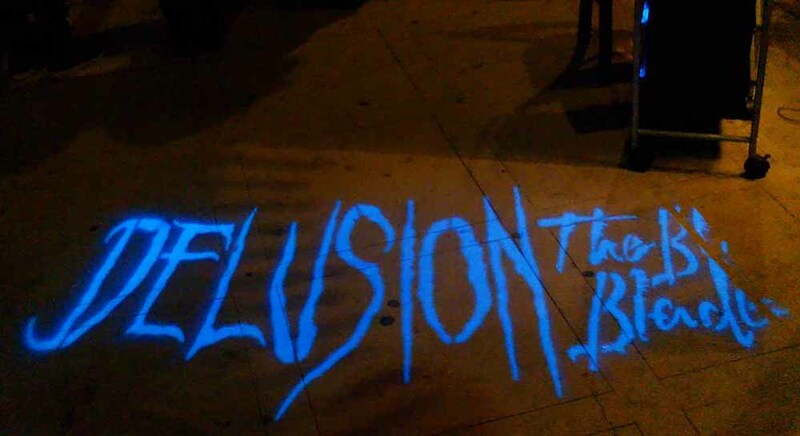 After the novelty of a Halloween haunt with an actual plot performed inside a real house has worn off, Delusion still delights with its imaginative mix of stunts, effects, dialogue, and performance. 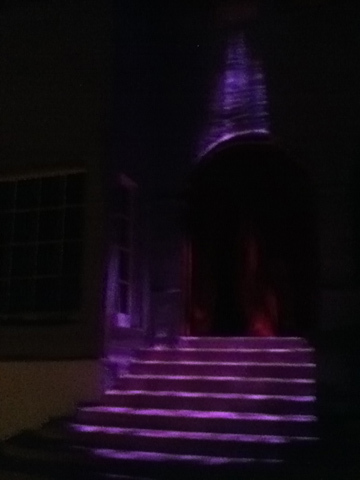 Enter the haunted portico and play your part. Delusion: His Crimson Queen follows the template established by its predecessors, taking the audience on a tour of what seems like the entirety of the house, from top to bottom - usually, but not always, led by characters who know the way. Interaction is frequently required (finding vials of blood, manipulating sunlight with mirrors and curtains to ward of vampires, etc). Occasionally, volunteers split off from the group to face challenges on their own. Often, our dhampir powers protect us from the predation of the blood-drinkers lurking in the shadows, but those powers sometimes fail when most needed. What's different this time is the greater emphasis on story. Delusion: His Crimson Queen is neatly divided into chapters (each introduced by a narrator's voice). Each serves as a showcase for one of the vampire clans, providing the expected thrills, but there's also a larger dose of drama and exposition. Along with clues to the whereabouts of Berke and Selene, we are reminded of what's at stake (no pun intended). creating a sense of the classic "rising action" that leads to a climax, the outcome of which is fundamental to everything that came before (as opposed to being merely a spectacular barn-burner). Now, I don't think Braver quite gets everywhere he wants to go with his horror-drama. The conflicts between the clans are not as clear as they might be, and the writer's devices are sometimes transparent: for example, when the story needs to generate suspense, a character suddenly informs us that our dhampiric powers will not work against a particular opponent (this kind of sudden failure works best when it is foreshadowed by a clue that becomes clear too late - "Oh, we should have known our powers wouldn't work because...."). However, there are any number of artists who could confirm that achieving perfection with intricate details is less important than getting the Big Picture right. For, Delusion: His Crimson Queen, the "Big Picture" means getting the audience involved - not just physically but emotionally. Delusion has always been able to achieve the former but not necessarily the latter. The very first production, back in Halloween 2011, cast the audience as invited guests visiting a colleague engaged in strange research. The goal was partly to figure out what the demented doctor was doing but mostly to get out of his lair in one piece; the story served as a means to move from one scene to the next, showcasing the set pieces. In contrast, Delusion: His Crimson Queen - by casting the audience as children seeking their missing parents - achieves a deeper resonance. After all, what's more primal than descending into the underworld like Orpheus on a quest to rescue a loved? Consequently, we're less observers swept up into some crazy plan that has nothing to do with us; we're more active participants with strong motivation to be involved. Or, as Hollywood likes to say, "This time, it's personal!" Though more story-oriented, Delusion: His Crimson Queen is still loaded with spectacular stunts and effects, including aerial vampires and a character blasted through a stone wall. There are shocking and lurid moments as well, including an early voyeuristic bit when Selene's children (that is, we in the audience) stand outside a window and observe an oral-sexual tryst between a pair of vampires. Unfortunately, even two trips were not enough to follow every twist and turn in the labyrinth that is Delusion: His Crimson Queen. 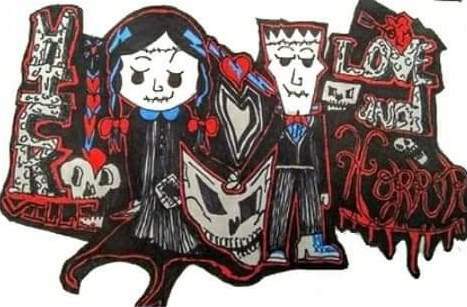 Some paths still remain mysteries to us, though explored by our "siblings." 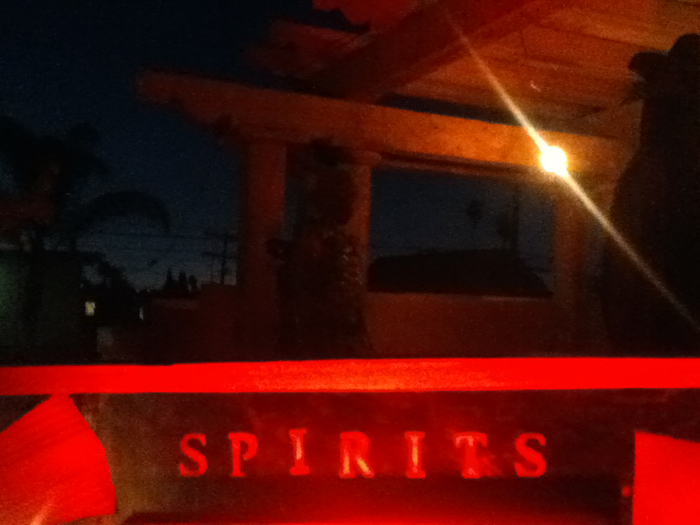 After the show, have a drink at the Spirits Bar on premises. Judged by traditional criteria, Delusion: His Crimson Queen falls short of Wicked Lit in terms of staging a fully satisfying piece of theatrical storytelling in a novel venue. In spite of the increased attention to performance and dialogue, I suspect that few people emerge from the Ambrose abode marveling about memorable characters or quoting their favorite lines. The show's strength still lies in its interactive quality, in the bravura staging of stunts, and in the imaginative execution of unexpected special effects. Nevertheless, these familiar virtues have been remarkably enhanced by a stronger emotional hook that adds tragedy to horror. Instead of the typical "run for your lives" denouement, the tale ends on a moment of self-sacrifice that strives for the emotional catharsis of a great drama. It would probably be an exaggeration to say the conclusion left not a dry eye in the house, but it's no exaggeration to say that, more than ever before, this Delusion earns the designation "a haunted play." It's our favorite Delusion yet, and if you are unfortunate enough to miss its enticing synthesis of horror and drama, it will haunt you long after Halloween has faded into memory. Delusion: His Crimson Queen continues with performances on November 10-13,17-20. All shows are sold out, but some tickets may become available on Craiglist or the Delusion Facebook page. 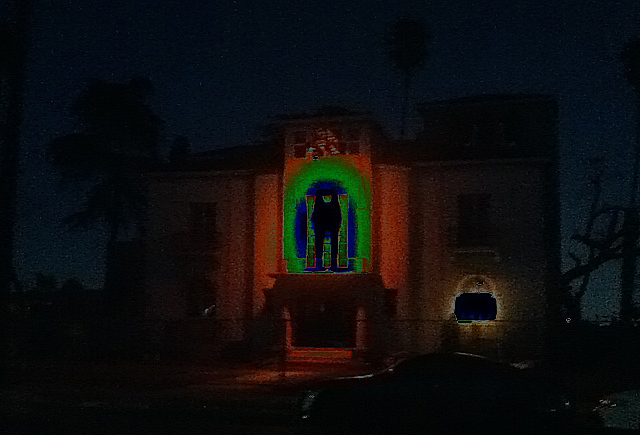 The address is 2200 S Harvard Boulevard, Los Angeles 90018-2142. Get more info at: www.enterdelusion.com. Jon Braver’s new horror-drama is the best Delusion yet – an enticing synthesis of storytelling, stunts, effects, and interactive-immersive theatre.